I live in downtown Brunswick, Maine in one of the oldest neighborhoods in town. Our house dates back to 1892 and is certainly not the oldest house on the block. Recently, there have been three major fires within walking distance of my house. 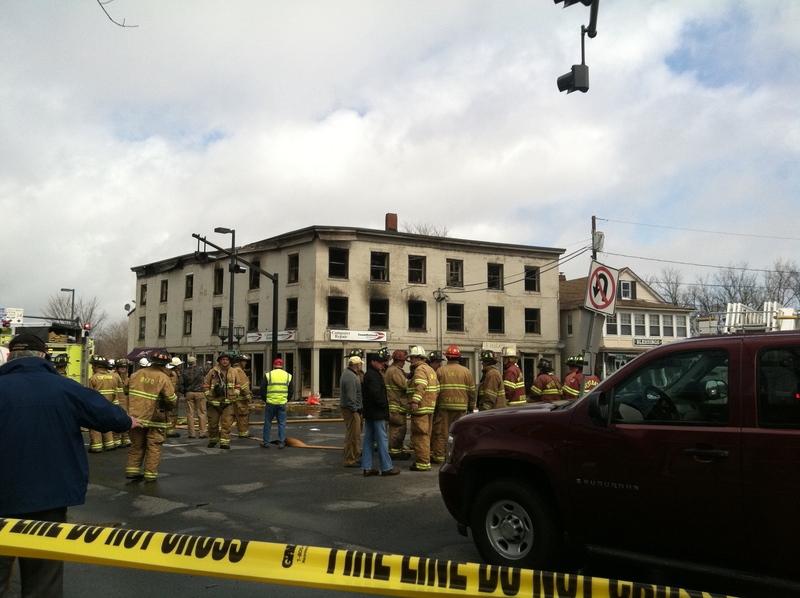 The most recent fire occurred early Sunday morning at the corner of Maine and Mason streets. The landmark building dated back to 1837 and housed 17 people in apartments, along with several businesses. Ten fire departments responded to the fire. 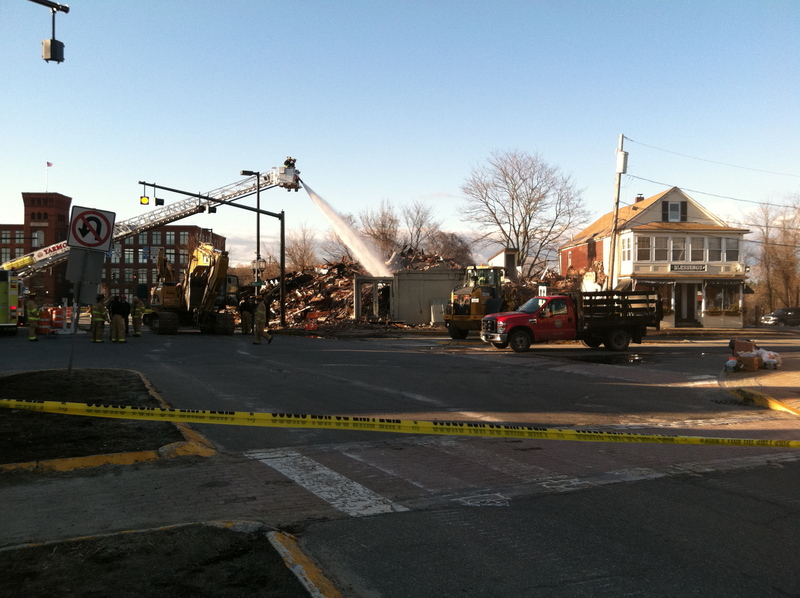 While no one was injured, the building had to be demolished. Here’s what we saw late Sunday morning on 4/17/11. The structure wasn’t safe for firefighters to enter the building. Here’s what we saw around dinnertime on Sunday early evening 4/17/11. It was determined that the structure needed to be demolished for safety reasons. Firefighters continued to spray the debris to make sure there weren’t any more hot spots. It’s amazing that the building next door survived the fire. Interestingly enough, the house / business contains an antique shop called Blessings. Not ten days before, another fire rendered an Oak Street six-unit apartment building uninhabitable. A three alarm fire occurred on Union Street in February. According to the Times Record, these three fires have overwhelmed the Mid Coast Chapter of the American Red Cross. Since the beginning of the year, they have assisted more people than they typically would serve in one entire year. They could really use our donations to help the 36 people that were displaced in the past 10 days alone. My family made a donation to the Mid Coast Chapter of the American Red Cross. And I will be talking to my kids about why we did. Will you? Here’s how you can donate by mail, phone or online.